Who doesn’t like a cheeseburger late at night. No, I wasn’t on my way home from the bar. Just hungry. Making a late night fast food run is not something I usually do, but J was getting up for work and she was hungry too. More importantly, she wanted a frozen coffee. As she was getting ready, she asked if I would make a McDonald’s run. I had nothing better to do at that time of night, so I obliged. 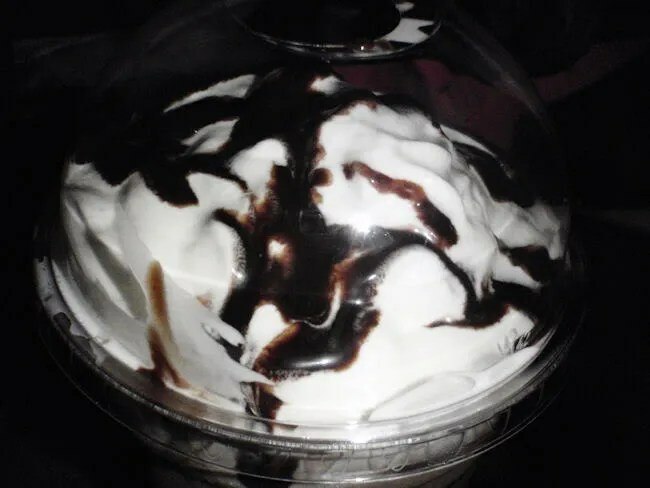 Normally, we go to the McDonald’s on South Westnedge, but J had stopped at that location yesterday and their frappe machine was down. Since that’s what she really wanted, I decided not to chance it and headed towards the location on Sprinkle between Covington and Vanrick just south of the I-94 Interchange. 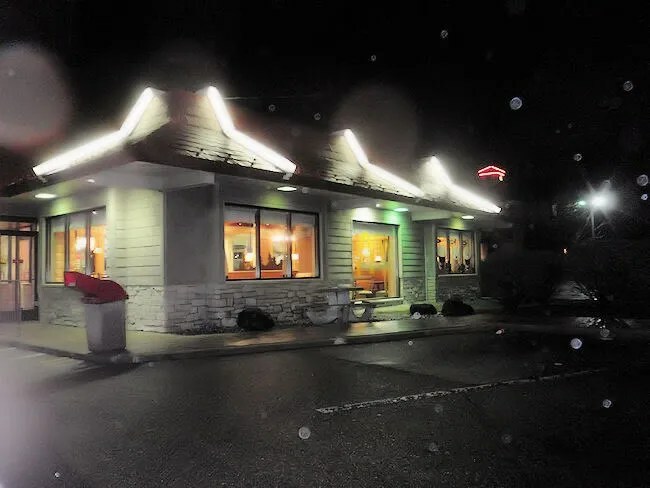 I didn’t know if this location was 24 hours or not so I was taking a chance that could make me back track and find a different open location, but as I was pulling up, I saw the signs for the 24-Hour drive-thru. The switch-over between burgers and breakfast takes place about 3:00 at most locations, so I was still ok to get myself a cheeseburger. I had to use the drive thru which I hate, but I can understand why they wouldn’t want people in the store at that time of night. When I pulled up to the speaker, I could almost swear that a recorded message was played informing me of the product they are pushing right now. After the sales pitch, the voice told me to order when I was ready. I started first with J’s large mocha frappe then ordered a cheeseburger and a small fry for her. For myself, I just got a Double 1/4lber with cheese. I ordered it plain and just got the sandwich. The total was just a little over ten bucks and since I had cash for once, I used that at the first window. At the second window, my food was waiting and they were finishing up J’s frappe. The lady working handed me my food then asked if I had a coffee punch card. I don’t order coffee so obviously I didn’t. She handed me one and put the first punch on it with a little “M” shaped paper punch. I figured I would just give it to J, but when I got home and looked at it, there was a little note saying it was only good at the Sprinkle Road location. That’s a little out-of-the-way for her to go for work and not a road we drive very often. McDonald’s is what it is. I always say that because there’s really not much to say about the food. All the food was on the cold side, but I’m sure that late at night, they’re not making much fresh. The fries were really cold and I ended up eating about half of them. 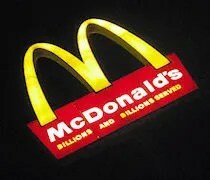 At that time of night, McDonald’s did it’s job. J got her frappe and I got food I didn’t need before I finally laid down for bed.